I spoke at the Mormon History Association's annual conference last week on the topic of the Mormons and the Mounds. In my presentation, I focused on mounds around St. Louis (aka, Mound City), famous mounds in LDS history, including Enon and Zelph's mound, and the mounds in and around Nauvoo. I'm going to use the PowerPoint presentation at upcoming events, and the presentation was quite different from this paper, but people have asked about my paper so here is the first draft of the paper that I'm posting here for comments/input. I've been asked to submit it for publication, but it needs more work and I'm waiting for some additional developments anyway. “Mormonism sprang from the mounds,” wrote Roger Kennedy, former director of the Smithsonian National Museum of American History. Even before the Book of Mormon was published, Mormonism was linked to the Moundbuilder civilizations of North America. One man who claimed to have heard a reading of the lost 116 pages said “It was a description of the mounds about the country and similar to the ‘Book of Mormon.’” In 1843, Joseph Smith apparently alluded to the 116 pages when he said the Book of Mormon spoke about sacred burial places. Several authors have placed the Book of Mormon among other 19th century books about the origins of the Moundbuilders. At one time, there were over a million ancient earth mounds in North America; approximately 100,000 remain today. Many of these mounds are located in the territory from western New York through western Missouri where early Mormon history took place. Three specific mounds figure prominently in LDS history: Zelph’s mound in Illinois, the Kinderhook mound, also in Illinois, from which the six brass plates were taken, and Enon mound in Ohio. Until the early Saints leveled them to build homes and farms, Indian mounds dominated Nauvoo. Joseph Smith purchased one and resorted to it from time to time. Less well known are the mounds located just north of Nauvoo that have recently been discovered and preserved. The connections between Mormonism and the mounds of North America have yet to be fully explored. Twenty-five miles east southeast of the site of the 2017 Mormon History Association’s 52nd Annual Conference in St. Charles, Missouri, sits one of only 22 UNESCO World Heritage Sites in the United States: Cahokia Mounds State Historic Site. According to UNESCO, Cahokia is the largest pre-Columbian settlement north of Mexico. It includes Monks Mound, the largest prehistoric earthwork in the Western Hemisphere. Cahokia was a prominent feature in the 1830s and 1840s when Mormons passed through the St. Louis region on Mississippi River steamboats. The site originally included 120 mounds and covered about 4,000 acres. Native Americans lived there between 800-1400 A.D. (the Mississippian period), so it is post-Book of Mormon era, but many other significant mound sites along the Mississippi River did flourish during Book of Mormon times. Elm Point Mound was located just three miles north of the St. Charles Convention Center until it was leveled for residential development. The mound contained burials covered with limestone slabs and featuring red ochre staining. Projectile points, a grooved axe, and other artifacts were found at this site before its destruction. A mile to the east is a district still called Les Mamelles, named after two 150-foot mounds that looked out over the plains to the north situated between the Missouri and Mississippi Rivers. 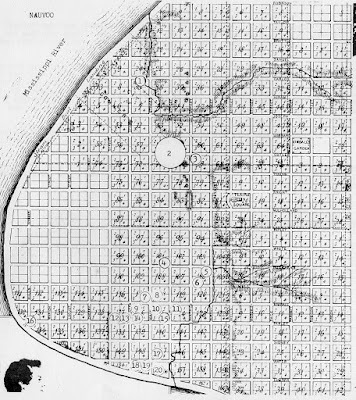 St. Louis itself was once nicknamed Mound City because of the many large mounds once located within current city limits. 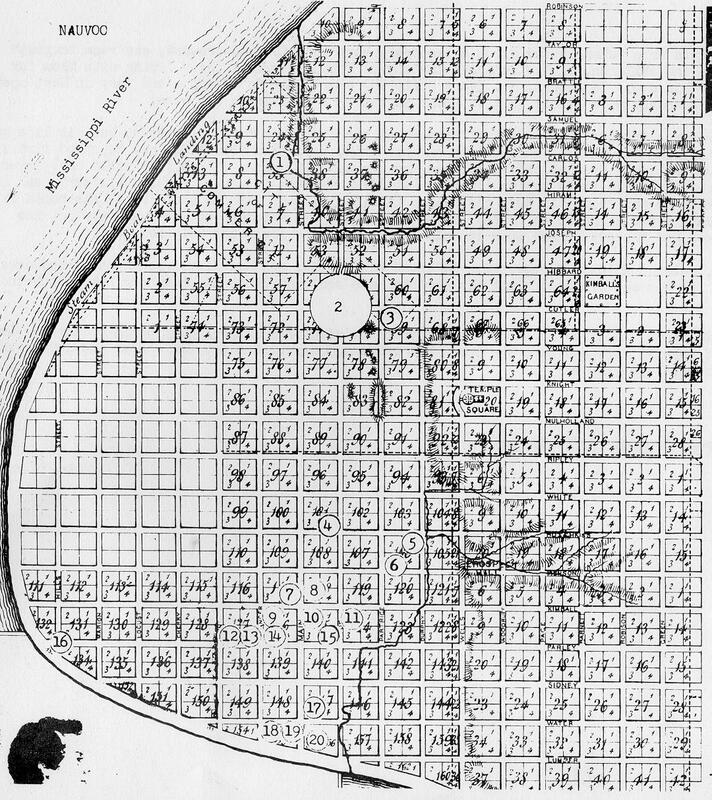 The largest of these, Big Mound, located on what is now Mound Street and North Broadway, would have been visible to Mormons traveling to Nauvoo from the Gulf of Mexico or from the Ohio River. Big Mound served as a landmark for Mississippi River steamboat pilots until it was leveled in 1868. The sole remaining mound in St. Louis is Sugarloaf Mound. It has been purchased by the Osage Nation for preservation. While Big Mound may have been one of the first ancient Indian mounds experienced by European Mormons immigrating to Nauvoo, the mounds were commonplace for American Mormons in the 19th Century. Joseph Smith’s birth state of Vermont features hundreds of ancient stone structures. Ethan Smith, the Vermont preacher, wrote A View of the Hebrews in part to explain the origins of the “walled towns,” “Forts,” and “watchtowers” he was familiar with. When the early Saints moved from New York to Ohio, they encountered Indian mounds everywhere they went. Some remain, such as Indian Point, located just 14 miles northeast of the Kirtland Temple. This ancient Indian enclosure features two earthen walls bordered by ditches and protected on two sides of a triangle by steep cliffs. The walls were built around 140 B.C. The Zion’s Camp march passed several mounds, including two that were specifically noted in the historical record: Enon mound outside of Dayton, Ohio, and Zelph’s mound near the Illinois River. The connections between Mormonism and the mounds have been addressed in several books and articles. This paper provides a brief overview of the literature and introduces some new information that deserves additional focus and discussion. Indian mounds have long been part of American history. George Washington used ancient mounds for military positions. Thomas Jefferson excavated a mound (one of many “barrows” in the area) found on his property at Monticello. In 1894, the Smithsonian’s Bureau of Ethnology published a book by Cyrus Thomas that depicted a map of around 100,000 mound sites, located mainly along the rivers of the Midwestern and Southeastern United States. Many of these sites have multiple mound structures, some as many as 100. This paper will discuss an example of new mound sites found within the last year a few miles north of Nauvoo. Ancient Native American civilizations that built mounds have been classified into three major cultures based on era and the types of mounds they built. 1. The Archaic period (4500-1000 BCE). There are only a few major examples of earth structures built during the Archaic period, including Watson Brake and Poverty Point in Louisiana. 2. The Woodland period, consisting of Early Woodland (1000 BCE to 200 BCE) (Adena), Middle Woodland (200 BCE-500 CE) (Hopewell) and Late Woodland (500-1000 CE). a. Adena. Adena sites are found in the Midwestern and Eastern United States including Wisconsin, Indiana, Ohio, Kentucky, West Virginia, Pennsylvania, Maryland, and New York. Only a few of the hundreds of Adena mounds have survived to the present. Mounds were used for burials, ceremonies, and gathering places. Enon Mound, the second largest conical burial mound in Ohio, is probably Adena. The largest Adena mound in the United States is in Moundsville, West Virginia, along the Ohio River. People tunneled into it in 1838, destroying archaeological evidence. b. Hopewell. The Hopewell culture ranged from Florida to southeastern Canada (the Great Lakes area) and east to Kansas. The people lived along the rivers, particularly the Ohio and Mississippi Rivers and their tributaries. They built the giant geometric earthworks found in Ohio, including the Newark Earthworks that are the largest in the world and are aligned to specific sunrise and moonrise events. Hopewell cultures had distinctive regional attributes. Zelph’s mound fits within the Hopewell culture. The Kinderhook mound probably dates to the Adena era, and it reportedly had a conical shape typical of Adena mounds, but there doesn’t appear to be any discussion in the literature about this mound ever being dated or studied. 3. The Mississippian period (900-1450 CE). There is growing evidence of a link between Mesoamerican cultures and the Mississippian cultures, possibly a result of the collapse of the Mayan empire. People who believe the Book of Mormon took place in North America generally relate the Adena to the Jaredites and the Hopewell to the Nephites. When archaeologists identify a “mound” site, it is usually more significant than merely a pile of dirt created by humans. Mounds varied greatly in size. Some might be a foot high with a circumference of two or three feet. Others may be tens of feet high, covering acres. Monks Mound is ten stories high and covers nearly 14 acres. Geometric shapes, including squares and circles, are precisely measured and can encompass 20 acres or more. Some mound structures were topped with wooden pickets as defensive walls. Others were covered with cement. Some are shaped as animal effigies. Some follow natural ridges. Dr. Roger Kennedy, the former director of the Smithsonian's American History Museum, addressed a misperception about earth mounds, noting that earth mounds are actually buildings. Build and building are also very old words, often used in this text [his book] as they were when the English language was being invented, to denote earthen structures. About 1150, when the word build was first employed in English, it referred to the construction of an earthen grave. Three hundred and fifty years later, an early use of the term to build up was the description of the process by which King Priam of Troy constructed a “big town of bare earth.” So when we refer to the earthworks of the Ohio and Mississippi Valleys as buildings no one should be surprised. Painting with a broad brush, literature about the connections between Mormons and mounds can be divided into two categories: those who seek to link Mormonism to the mounds, and those who seek to distance Mormonism from the mounds. From a purely historical perspective, those linking Mormonism with the mounds seem to have a stronger argument. They rely on original documents and contemporary accounts. This group includes critics of Mormonism as well as supporters. Those distancing Mormonism from the mounds tend to rely on semantic arguments against original sources or seek to avoid the question altogether. These different approaches manifest themselves most often in discussion and analysis of the three specific mounds that appear most often in the literature: Zelph’s mound and the Kinderhook mound, both in Illinois, and Enon mound in Ohio. I’ll cite examples after offering an overview of some of the best-known works on Mormon history that address the mound connection. The most comprehensive analysis of the connections between Mormonism and the mounds is probably Dan Vogel’s 1986 book, Indian Origins and the Book of Mormon: Religious Solutions from Columbus to Joseph Smith (Signature Books). Vogel seeks to understand how the Book of Mormon “fit into the ongoing discussion about the origin and nature of ancient American cultures” (Introduction). His Chapter 4 focuses on the mound-builder myths. He views the Book of Mormon as a product of 19th Century thought and experience. Many supporters of Mormonism tend to downplay the links to the moundbuilders. For example, in Rough Stone Rolling, Richard Bushman observes that “Indian relics turned up in newly plowed furrows, and remnants of old forts and burial mounds were accessible to the curious, but none was known in Palmyra or Manchester…Burial mounds, supposedly a stimulus for investigation of the Indians, receive only the slightest mention [in the Book of Mormon, Alma 16:11].” He does briefly mention Zelph’s mound and the Kinderhook incident, but he deliberately avoids the debate about mounds and the Book of Mormon. For example, he quotes excerpts from the letter Joseph Smith wrote to Emma on June 4, 1834, from the banks of the Mississippi River during Zion’s Camp, but he omits a key phrase. 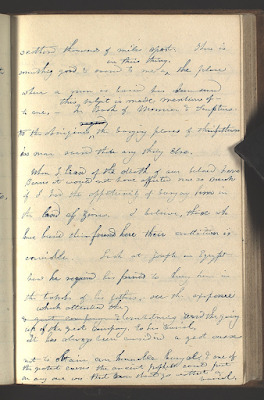 Joseph wrote of “wandering over the plains of the Nephites, recounting occasionally the history of the Book of Mormon, roving over the mounds of that once beloved people of the Lord, picking up their skulls & their bones, as a proof of its divine authenticity,” but Bushman quotes only “wandering over the plains,” omitting the rest of Joseph’s sentence. Most articles focus on the two best-known mound-related topics: Kinderhook and Zelph. J. Michael Hunter introduced his article about Mormon archaeological zeal by writing “In 1843, Robert Wiley unearthed a set of six brass plates in a burial mound near Kinderhook, Illinois.” Several authors have written and presented on the topic of the Kinderhook plates, including Mark Ashurst-McGee, Don Bradley, Brian M. Hauglid, and Jason Frederick Peters. In 1981, the Ensign published an article that took the positions that (i) the Kinderhook plates were a hoax and (ii) Joseph Smith never attempted to translate them. About nine o’clock . . . we came into a piece of thick woods of recent growth, where I told them that I felt much depressed in spirit and lonesome, and that there had been a great deal of bloodshed in that place, remarking that whenever a man of God is in a place where many have been killed, he will feel lonesome and unpleasant, and his spirits will sink. In about forty rods from where I made this observation we came through the woods, and saw a large farm, and there near the road on our left, was a mound sixty feet high, containing human bones. The mound was covered with apple trees, and surrounded with oat fields, the ground being level for some distance around. The large mound Joseph referred to was the Enon mound, located about seven miles west of Springfield. The mound still stands today in the town of Enon. It has been identified as an Adena mound, based on its size and shape, as well as artifacts retrieved from it. Wittorf notes a hearsay account of an old gentleman who dug into the mound and deposited a collection of artifacts. He also suggests the dead men Joseph referred to could have been Shawnees killed in the battle of Piqua in August 1870. Piqua was about five miles west of Springfield. This paper does not assess the historical and cultural context of the Mound-builder tradition and whatever relationship it may have to Mormonism. Instead, it looks at specific examples that have not been covered in depth in the literature to suggest possibilities for additional research. The 116 pages. In the summer of 1828, Martin Harris lost the first 116 pages of the manuscript Joseph Smith dictated. Little is known about the manuscript, except that it constituted Mormon’s abridgment of the Book of Lehi and it covered essentially the same history as the current books of 1 Nephi through Words of Mormon. The 116 pages were reportedly burned or stolen; at any rate, they have not been recovered so far. The current text of the Book of Mormon does not mention mounds. It refers to bodies being “heap up upon the face of the earth” in several places. Alma 50:1 says Moroni caused his people “that they should commence in digging up heaps of earth round about all the cities.” If Hines was correct that the 116 pages included “a description of the mounds about the country,” the lost manuscript would link the text more closely to the North American setting than does the current text. This would further support the claims of both critics and defenders who link the Book of Mormon to the Moundbuilders. Joseph Smith’s 1843 sermon. On April 16, 1843, Joseph Smith’s journal relates that he gave a sermon at the temple at 10 a.m. He read a letter about the death of Lorenzo Barns and discussed the topic of burial. The portion in bold is of interest for two reasons. First, there is no place in the current Book of Mormon that mentions that the place where a man is buried is sacred. Joseph seems to be recalling a passage from the lost 116 pages, which, in his mind, were part of the Book of Mormon he translated. Second, the sacred nature of a burial place is the basic premise for Native American Indian reverence for the burial mounds. Joseph alludes to this in the next passage when he refers to the “aborigines,” whom he considered Lamanites. This sermon may be a direct link between the 116 pages and the Native American Indian mounds. The journal is in the handwriting of Willard Richards. He apparently inserted the phrase “this subject is made mention of” after he wrote the main phrase, probably when he found a moment to catch up with what Joseph was saying. Mounds in Nauvoo. There are several references to mounds in Nauvoo. The lithograph by John Childs, 1844, made from a plat by Gustavus Hills in 1842 depicts several mounds in the city. A prominent one is between plats 82 and 83, just west of the temple. Joseph’s journal records a few interactions with mounds in and around Nauvoo, including these. Monday 27 Transacting business in general through the day. borrowed money of Bros. Wooley Spencer &c. & made payment To Hiram Kimball for the mound. Mounds in Nauvoo. In recent years, more Hopewell mound complexes have been discovered just north of Nauvoo. Some were looted in the 1970s, but others have been found untouched. Wilson and Jenny Curlee moved to Nauvoo and purchased the property on which the mounds were located. They organized an Eagle Scout project to restore some of the looted mounds, and archaeologists from the Illinois Historic Preservation Agency have certified these as authentic ancient sites. In the fall of 2016, a new complex was discovered in the area. The increasing awareness of the numerous Hopewell mounds in the Nauvoo area may give renewed attention to the connection between Mormons and the mounds. When workers dug a utility trench between the Red Brick Store and the Joseph Smith Homestead, the equipment churned up Hopewell bones and artifacts. This area is adjacent to the Smith Family Cemetery, leading to the possibility that Joseph Smith, his wife Emma, his brother Hyrum and his parents are buried in a Hopewell burial site. If “Mormonism sprang from the mounds” as Roger Kennedy suggested, it seems only fitting that Joseph Smith would be buried among the Moundbuilders. The connections between Mormonism and the Moundbuilders have received considerable attention, but mainly from outsiders and critics. 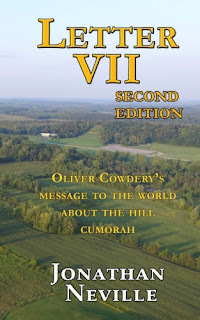 It is time for historians to re-assess these connections, especially in light of recent discoveries about Hopewell mounds in the Nauvoo area. Cahokia Mounds State Historic Site, World Heritage List, UNESCO, http://whc.unesco.org/en/list/198. Elm Point Mound, 23SC58, St. Louis Community College, http://users.stlcc.edu/mfuller/elmpoint.html. Matthew Graham, “Ancient History,” Missourian, Jul 22, 2008, online at http://www.columbiamissourian.com/news/local/ancient-history/article_aef4d888-1602-5b7c-b118-b84b17bf6e9c.html. Jefferson’s Excavation of an Indian Burial Mound, Thomas Jefferson Foundation, Inc., online at https://www.monticello.org/site/research-and-collections/jeffersons-excavation-indian-burial-mound. Little, Gregory L., Ed.D., The Illustrated Encyclopedia of Native American Mounds & Earthworks (Eagle Wing Books, 2009), p. 2. Brodie, Fawn M., No Man Knows My History, 2d Ed. (Vintage Books, New York: 1995), p. 35. Wunderli, Earl, An Imperfect Book: What the Book of Mormon tell us about itself (Signature Books, Salt Lake City: 2013), p. 320. Bushman, Richard, Rough Stone Rolling (Alfred A Knopf, New York: 2005), pp. 95, 97. Smith, Joseph, “Letter to Emma Smith,” 4 June 1834, Letterbook 2, p. 57, online at http://www.josephsmithpapers.org/paper-summary/letterbook-2/62. Givens, Terryl, By the Hand of Mormon (Oxford University Press, Oxford: 2002), pp. 93, 95-6. Hunter, J. Michael, “The Kinderhook Plates, the Tucson Artifacts, and Mormon Archaeological Zeal,” Journal of Mormon History, Vol. 31, No. 1 (Spring 2005), p. 31. Kimball, Stanley B., “Kinderhook Plates Brought to Joseph Smith Appear to be a Nineteenth-Century Hoax,” Ensign, August 1981, online at https://www.lds.org/ensign/1981/08/kinderhook-plates-brought-to-joseph-smith-appear-to-be-a-nineteenth-century-hoax?lang=eng&_r=1. Godfrey, Kenneth W., “What Is the Significance of Zelph in the Study of Book of Mormon Geography?” Journal of Book of Mormon Studies, 8/ 2 (1999): 70-79, 88. Online at http://publications.mi.byu.edu/publications/jbms/8/2/S00011-What_Is_the_Significance_of_Zelph_in_the_Study_of_Book_of_Mo.html. Cannon, Donald Q., “Zelph Revisited,” Church History Regional Studies, BYU Department of Church History and Doctrine, Regional Studies, Illinois, 97-109. Online at http://emp.byui.edu/marrottr/341folder/Zelph%20Revisited%20Cannon.pdf. Wittorf, John H., “Joseph Smith and the Prehistoric Mound-Builders of Eastern North America,” delivered at the Nineteenth Annual Symposium on the Archaeology of the Scriptures at BYU on October 18, 1969, online at http://www.ancientamerica.org/library/media/HTML/4qimqkix/JOSEPH%20SMITH%20AND%20THE%20PREHISTORIC%20MOUND.htm?n=0. History, 1838-1856, volume A – 1 [23 December 1805 – 30 August 1834], p. 7, online at http://www.josephsmithpapers.org/paper-summary/history-1838-1856-volume-a-1-23-december-1805-30-august-1834/566. Quoted in Cannon, Zelph Revisited. W. R. Hine’s Statement, in Naked Truths about Mormonism (Deming & Co., Oakland, 1888), online at http://www.sidneyrigdon.com/dbroadhu/CA/natruths.htm#010088-2a. Journal, December 1842-June 1844; Book 2, 10 March 1843-14 July 1843, p. 141. Online at http://www.josephsmithpapers.org/paper-summary/journal-december-1842-june-1844-book-2-10-march-1843-14-july-1843/149. Journal, December 1841–December 1842, online at http://www.josephsmithpapers.org/paper-summary/journal-december-1841-december-1842/30. Palmer, Rosemary G., “Why Do Nauvoo’s Historic Burial Mounds Matter?” Meridian Magazine, June 9, 2013, online at http://ldsmag.com/article-1-12816/.